Talking about an implant's "size" is a bit deceptive. Implants don't really come in sizes like a size 10 skirt; you can't get a size 8 and a half implant. Rather, the "size" of a breast implant is measured by the height of its profile (which is discussed in more detail below), the width of its base, and the volume of the filler (i.e., saline, silicone, or a combination thereof). 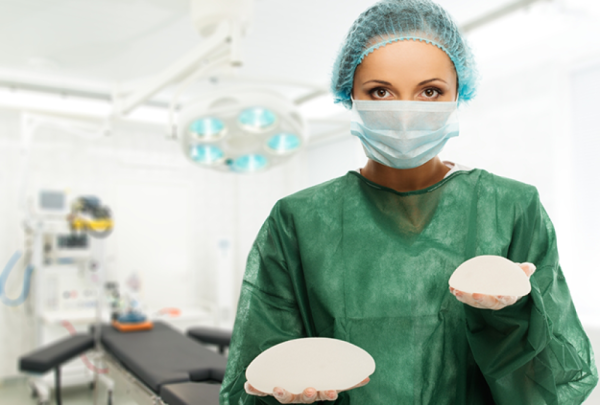 When most people talk about the size of a breast implant, they are really referring to its volume, which is measured in cubic centimeters (cc) of fluid or gel. Standard implant volumes range from about 100 cc to 850 cc. Larger implants would likely have to be custom ordered. 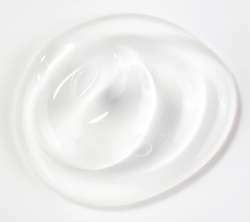 Keep in mind that two 500-cc implants with bases of different widths can create very different looks. When deciding on the "size" of your implant, be aware that a very large implant may be difficult to put in the submuscular or partial submuscular position (Learn more about Placement), and it may also make a difference in terms of what incisions can be used. Extremely large implants may shift your center of balance and cause back and shoulder pain (which will likely – but not definitely – resolve as the muscles get stronger to accommodate them). In addition, very large implants have a slightly higher complication rate and, because they can stretch the skin (potentially increasing the visibility of ripples) and cause the breasts to sag, you may be more likely to need a breast lift procedure in the future to correct the sagging.